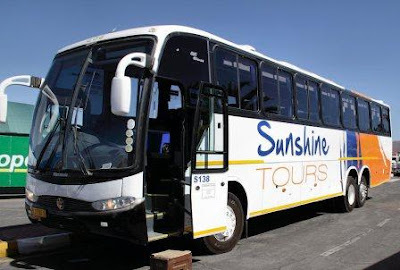 Sunshine Tours Coach and Bus Hire offers you a complete solution to your group transportation needs. 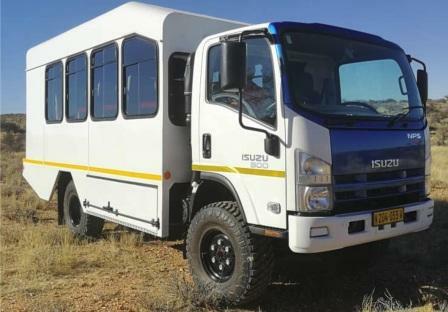 They operate a modern fleet of luxury vehicles ranging from 13 seaters to 80 seaters from their depots in Windhoek and Swakopmund in Namibia. 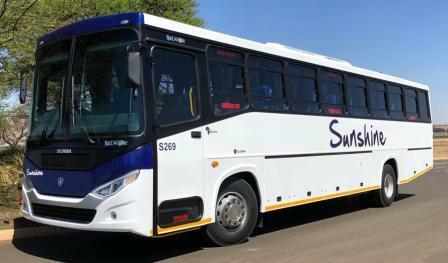 They operate their own fleet and can provide bus hire to destinations throughout Namibia and many African destinations including Zambia, Botswana, South Africa, Swaziland, Lesotho and Mozambique. They pride themselves on offering a professional and safe service. 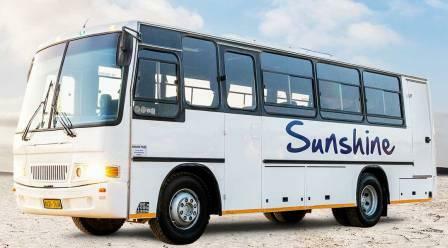 With hand picked drivers, stringent safety test and all the correct operating permits, insurances and licenses. All the drivers undergo medical check-ups every 6 months to once a year, depending on their medical history. This includes blood pressure, eye and drug tests and compulsory alcohol tests are done before each and every shift or trip. 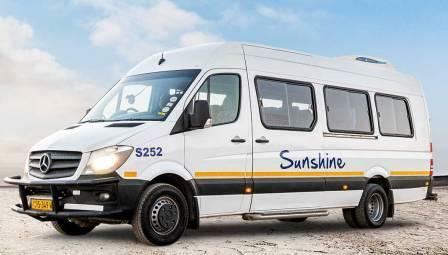 All their drivers can and will be trained to the specification of our clients.